The diamond is the traditional birthstone of April and is thought to provide the wearer with better relationships and an increase in inner strength. Treasured for their rarity and brilliance, diamonds have been prized for centuries as the symbol of eternal love and have long been used in the creation of exquisite engagement rings and jewelry. Diamonds in their natural form are the hardest natural substances on the planet, and they are believed to have been around for billions of years. Highly valued for their brilliance and durability, diamonds also signify strength, balance, and courage we well as bring wealth, health, and happiness to the home of its bearer. Look for diamonds with a good balance of the 4Cs: cut, color, clarity, and carat weight. 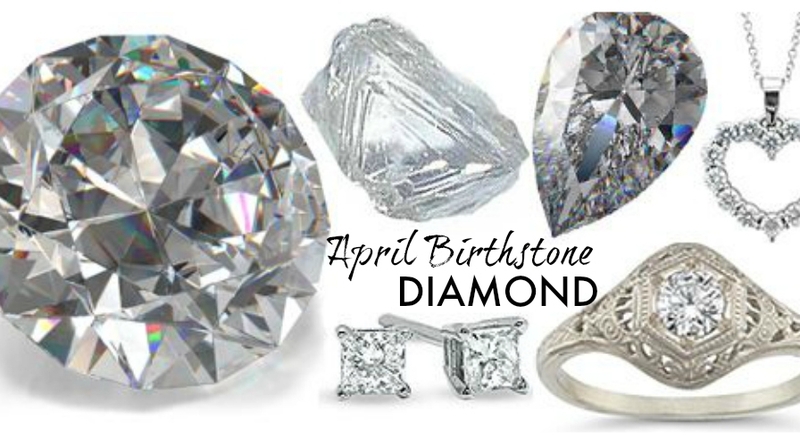 Many tales and myths, legends and stories wind their way around the eternal April birthstone. 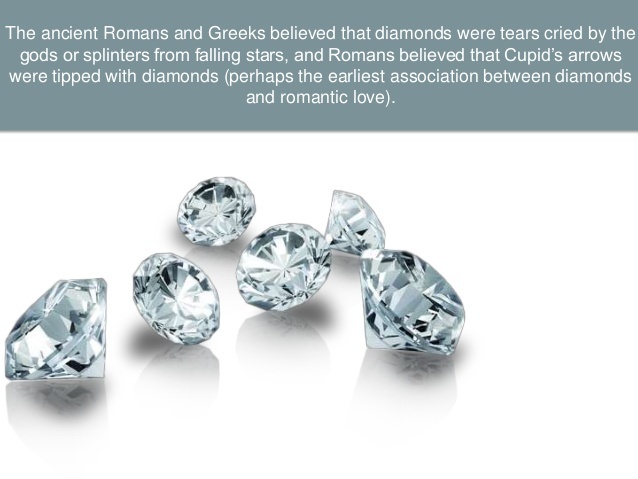 The ancient Greeks believed that the intense fire that burns when a diamond is created reflects the quality of eternal love. 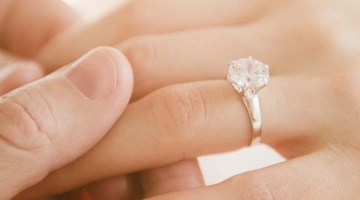 The custom of gifting one’s fiancee a diamond began with Archduke Maximilian of Austria who presented his Lady, Mary of Burgundy a beautiful diamond ring. While the gemstones have long been accorded the highest honor, diamonds have also been used in cutting tools and drilling tips to carve, cut and shape other precious stones. A rough diamond loses 40-70% of its weight in the cutting. 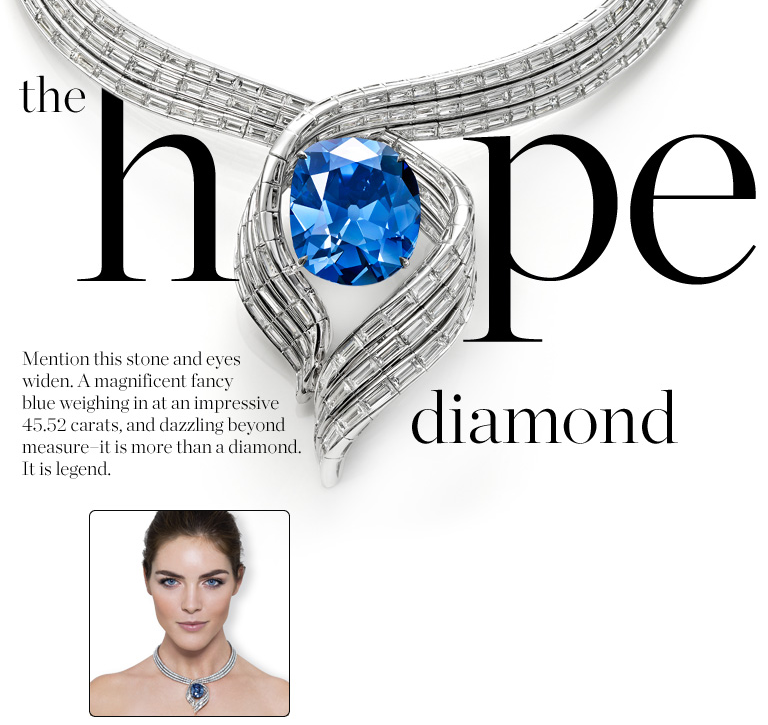 The name ‘Diamond’ is derived from the ancient Greek word adámas, for ‘proper’, ‘unbreakable’, ‘unalterable’, ‘invincible’ or ‘untamed’, reflecting its unyielding quality and endurance. The diamond is a precious stone with unmatched brilliance, unbreakable hardness, and lovely optical dispersion. The uncut, raw stones found naturally are cut, polished and fashioned into crystals to create exquisite jewelry items with an array of facets to increase its brilliance. Diamonds are traditionally colorless or white. This is the most desired state of the stone and also the rarest. Because of the way diamonds form from gasses underground, it is rare for them not to be cloudy or have a tint of yellow or brown. 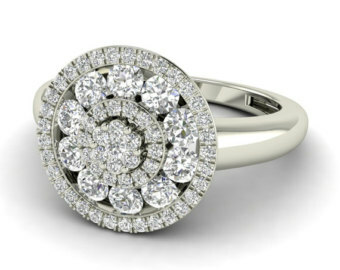 Colorless diamonds are the cleanest and sparkle the most which are what most people prefer. However, there are other tints such as faint pink or yellow hue. A strongly tinted diamond with a even tint and good clarity is even rarer and also desirable. As the market is flooded with diamond imitations, it is advisable to buy diamonds from a reputable and authentic source. A little understanding of terms would be very helpful in the process. The color scale for white stones is from D (colorless) to Z (champagne yellow). The colored ones are marked from pale to dark depending on the hue, tone and saturation of the color. The amount of inclusions defines the degree of clarity. It may vary from flawless to slightly visible inclusions. A fine cut could greatly enhance the color, clarity and brilliance of the stone. As it defines the path and the amount of light that passes through the gem, it adds a lot of value to the cost and quality of the stone. 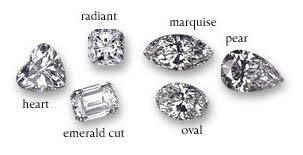 Diamonds more than a carat with the best of the above features are rare to find and therefore cost a higher premium. Diamond grading certificate and appraisal certificate are two very important documents for any jewelry. 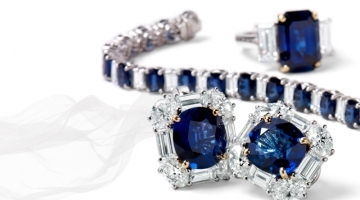 They are produced by third-party after a critical analysis of the gemstone and jewelry. An appraisal certificate along with the other details of gemstone mentions the estimated appraisal value of the jewelry. 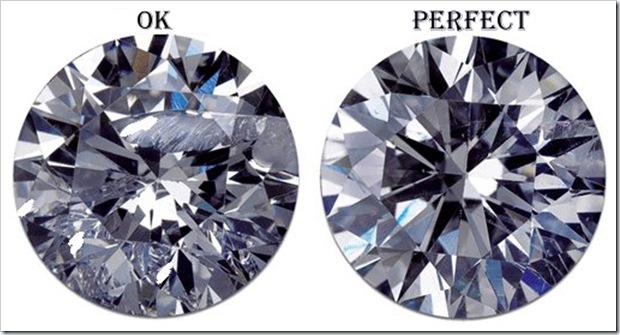 Diamond Treatment: Normally diamonds are natural and only cut to bring out the beauty. But this doesn’t mean they aren’t treated. High-pressure high temperature treatment, color changing treatment and filling treatment are few industry acceptable treatments for diamonds. Because the natural oils on your skin will dull the shine of the diamond, you should avoid touching diamonds as much as possible. 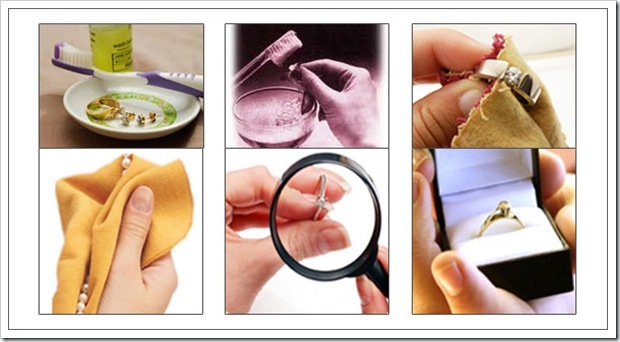 Clean your jewelry quarterly with a mild soapy solution and lukewarm water. 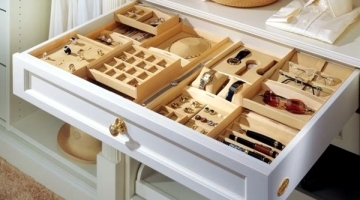 Cover them in a muslin cloth and keep them separately in a jewelry box. Always examine the jewelry before and after wearing. See if the stones are not loose or any of the prongs are broken or loose. Periodic visits to a professional is recommended. Diamonds should not be worn while working with harsh chemicals or in swimming pools and bathtubs.